Tourism in Trusted Space on PEI? 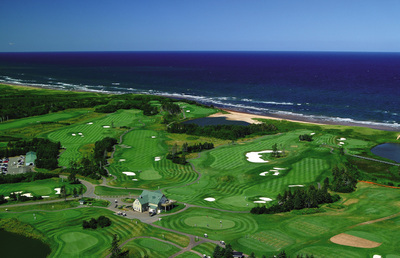 This is how we like to present PEI to Tourists - the beach or golf. It looks wonderful doesn't it. But when we look beneath the surface, there is trouble in Paradise. Here is a picture of a Disney Cruise. 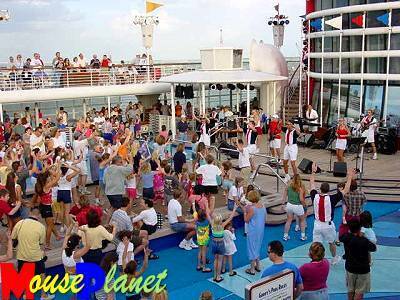 It costs the same as a week on PEI to take the kids on such a cruise with guaranteed weather and more cachet. Also there are fewer and fewer families with kids today. Times have changed. Mom, Dad, the kids, a cabin and a leisurely 2 weeks at the beach are no longer what excites a lot of kids anymore. Time pressed parents want a guarantee of a good time. They want an assurance of good weather. They only have a week and they want to meet their kids aspirations for excitment and cool that have been set up by multi million dollar ad campaigns. "So Johnnie what do you want - a week in the old cabin at Cavendish or a week on the Disney Cruise Ship in the Caribbean?" You supply the answer. There is no way that that PEI can go head to head with Disney and Carnival for this segment of the market. Do I mean that PEI has no appeal for families? No I don't. I mean that PEI cannot compete in the commodity sector where the segment is driven by an extrinsic psychographic where the externalities are the at the core of the experience. Externalities? I mean where the entire experience is done for you - where you are in effect being entertained. TV on steroids! Where the experience is manufactured like a show. Where it is all on the surface - where you don't go to a real desert Island - you go to a make believe desert Island. It's the same for the Golf, PEI's other big tourism bet. 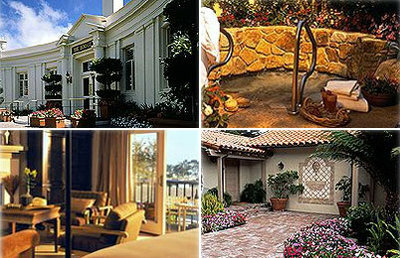 This is a hotel in Pebble Beach. Do you really think that we can compete with this type of setting for golf? Crowbush is a lovely course. But PEI is not a Fashionable Golf destination like Pebble Beach. Big Golf money is reserved for those destinations where the smart and the rich can show off to each other. Again, imagine the phone call. You are a New York investment banker. "Hi Johnnie where are we going to go this year - PEI or Pebble Beach?" "Where is PEI?" might be your reply. The Big Money in Golf fits a psychosocial segment. The Big Money in Golf is all about Prestige. Few who insist on drinking Dom Perignon know anything about wine. Few can probably tell the difference between Dom Perignon and other Champagne or even sparkling wine for that matter. So why is Dom Perignon so successful? It confers bragging rights - "Look how successful I am! " Serving Dom Perignon is a statement. It is a statement for people who crave this type of confidence builder. The big money in golf wants to show off. There is no prestige in going to PEI. It does not matter that the product is excellent. We are not Dom Perignon and we never will be and can never be that. So we are left heavily invested in Commodity Golf. There is no big revenue stream in Commodity Golf. But the costs are the same as in Prestige Golf. In fact the costs are worse. For we have too short a season to carry the capital costs. "Thanks Rob." You say "Now you have told us why we are in deep trouble in Tourism and that you see no remedy. What is your big idea then?" My big idea is a simple one. Our future in Tourism will be linked to matching who we really are, our culture and our place, to those who want this. My big idea is to stop trying to be someone we can never be and be whom we are really are. My big idea is that once we line up behind who we really are, we will have an offering that will supply us with all that we need. That who we really are is a diamond that no Disney or Pebble Beach can ever aspire too. "Remind us then Rob - Who are we really and why would anyone want that anyway?" We are still a truly human community that is uniquely interwoven into a magic landscape. There can be few other societies like us in the entire world. Warts and all, we are still a place where community is real. We worry about our neighbors. We shun show. We glory in our ordinariness. We are slow. We are hospitable. We live in a working landscape. We adjust to the seasons. We have snow days. We leave work early in the summer. Most don't want full time jobs. We never tire of the beauty of where we live. We hear the birds sing, we shovel snow, cut wood, we gossip in coffee shops. We are embedded into our land and into the surrounding sea and shore. We have not yet been captured by the industrial world. We are not Pebble Beach! We are not Disney. We are much more exciting. We are still real! We are an antidote for the mad, hectic, rushed, impersonal, inhuman, unnatural world that most people now inhabit. We are still a people who live close to the natural rules for human beings and we live close to nature in a landscape that calls to the heart of all who can slow down enough to hear its call. To those who hear a whisper of disquiet with how the world is, we offer a taste, a true experience, of a more human way of living. Millions of people now want this. If only for a taste. Millions of people are finding the world of surface deeply unsatisfying. These people have both time and they have money. These people seek more more than to be entertained. They wish to grow and they know intuitively that becoming authentically involved with a landscape and with another more human society is a great way to meet this deeper need. Only an authentic landscape and an authentic people can generate the Trusted Space that can fill an empty heart. I hear your concern again. "OK Rob - you may be right. Sort of ? How would we get from here to there?" You are right. It is not enough to see our predicament. How would we get from here to there? So knowing that you might feel like this I went to see an old friend JP Arsenault. JP has developed a reputation for bringing communities together to talk about difficult topics. He was the facilitator for the Land Use Round Table and a lead partner in a local HR firm where he specialized in conflict resolution. When I hear the term "Grounded", I think of JP. So do others. For the last 6 months, JP has been under contract to think about these issues at Parks Canada. Parks Canada are responsible for many areas of great natural beauty all over Canada. They have an especially challenging and paradoxical mandate. They are responsible for the protection of the natural systems inside the parks but they are also responsible for supplying the visitor with a memorable experience. They are often in a no win situation where they have to mediate between protect and use. 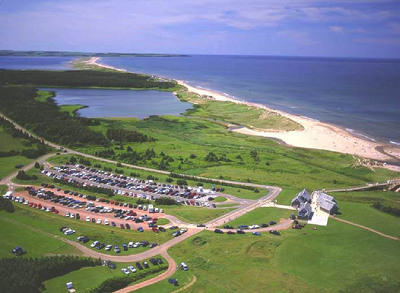 The Park on PEI extends along much of the North Shore where all the dunes are. This is an especially fragile ecosystem but is one of the most heavily visited parks in all of Canada. No where in the National parks system has the paradox of protect and use been more real. I asked JP what he thought of my feelings about a new kind of tourist and how if we did the right thing, we could do well by each other. "Absolutely Rob, all our research and our experience tells us that there is a growing and already large group of people who want a deeper, more personal, more interactive connection with nature. These people tell us that their health itself is linked to this connection. They want to be in nature. They want to get out of the bubble of their cars and interact directly - walk, ride a bike, feel the wind and even the rain upon their skins. These people are an expanding segment of society that are less tied to a brief summer week or two. They tend to have time. They can come outside the traditional summer 8 weeks. They like the sun and the good weather but are OK when it rains. They tend to be older but not always - it's a values thing. The park today is centered along road only access. 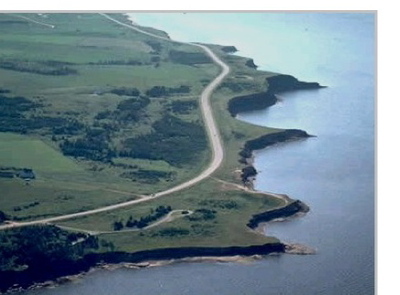 This is what it looks like - a long ribbon road with access points and parking near the key beaches. Today you have to have a car to experience the park. You have to stay inside the bubble. But we do have trails - some say better than the Confederation trail - here is a picture of the Homestead Trail. Imagine if it was easy for you to access all sorts of trails by foot or by bike. Imagine if you could leave the confines of your car and the road . 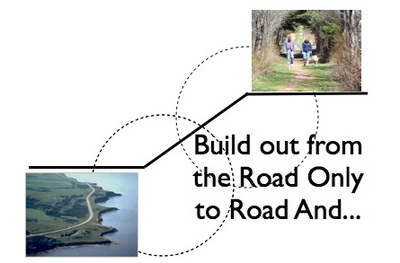 Imagine if the Park Road and trails could connect to the wider Confederation trails? Imagine if there was support to help you have this direct experience of nature while ensuring that you did not damage the ecosystem? Directionally and in general as an intent, I think that it is clear where we have to go. We have to offer a healthy park for people where people can discover more about who they are by experiencing nature directly in person. The devil as always will be in the details and in generating support for all of this." "You mean as Jamie Ballem has found with getting community support for Wind?" "Exactly. We cannot simply dictate the details of what will be done. Our intent is to work to establish a network of collaborators from local communities, from government and organizations interested in tourism and in health promotion. We at the Park do not know enough to do this well on our own. We have some early ideas such as narrowing the road to set up a bike path and of adding a new entrance to the Park with parking far back from the beach allowing those who wish to walk or bike to access the park without the car. But as I said there are so many other details that will have to be worked out. Fortunately we have had a little experience with this type of planning based on an intention and then the community filling in the details." "You mean as at Greenwich?" "Yes. That was a watershed I think for both the Park and the community. Here the ecosystem is so fragile that protection had to be paramount. So how we could provide access while also ensuring protection meant that diktats from on high would never have worked. I think that this new stage in the evolution of the Park will have the same paradox. How do we not turn away the traditional user, while providing the walker/biker with a great experience while all the time ensuring that we are not damaging the park itself." I am excited. 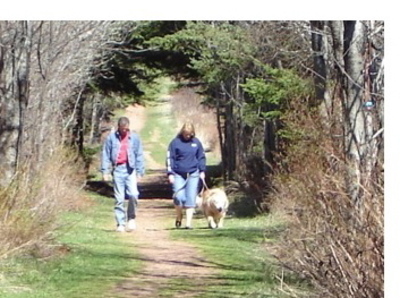 The Park is a major attractor for Tourism on PEI. If they are successful in establishing the participating network that will be essential for the plan to become real, then the Park will act as a beacon and help put momentum behind a much easier and more sustainable approach to tourism on PEI. I imagine a Park where I can bike up from my home and spend the day. I can imagine a Park where people camp in the fall and watch the migrations. I imagine hydrogen powered buses taking me up to the park when I don't feel like the bike ride. I imagine the experience that such a park may offer. I Imagine the kinds of people who will come how this experience will affect their feelings towards us as a society and as a place. For a tourist can give you money. But what if she gives you her heart? What will be the deeper effect that we may have on them and on us, if we meet like that? Go for it JP and Dave! Bell on Tourism in Trusted Space on PEI? Robert Paterson on Tourism in Trusted Space on PEI? Jill on Tourism in Trusted Space on PEI? 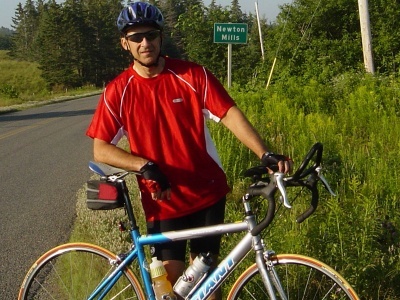 Mike Languay on Tourism in Trusted Space on PEI?